7 Destination Wedding Locations in India That Will Leave You Spellbound | Wedding Tips ARE YOU A VENDOR? 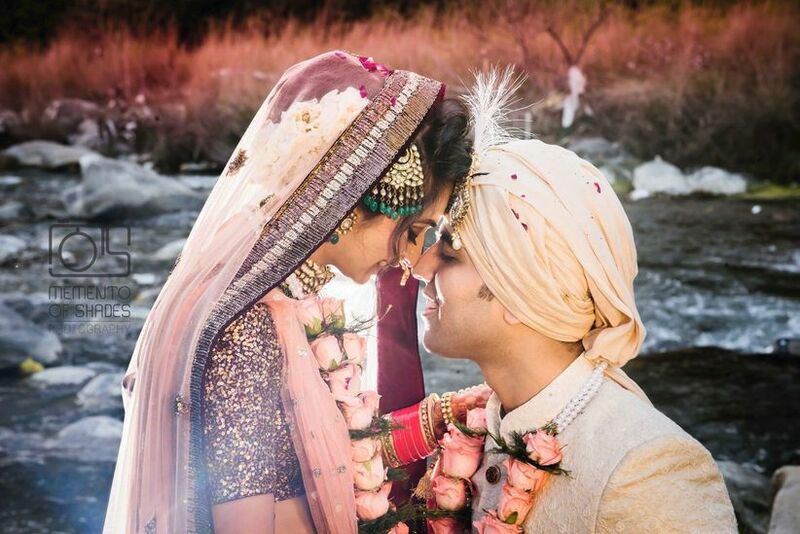 Check out these incredible locations in India and find out where your idea of an ideal destination wedding takes you. How would you feel when you say I do and it echoes around the mountains? Imagine everyone cheering for you, along with the mighty Himalayas! That’s the kind of magic you can experience on your destination wedding in Mussoorie this summer. Book a charming hill resort overlooking the mountains, away from the city’s scorching heat, with nothing around you but fresh air and soulful music of nature. You can also arrange an exquisite bonfire cocktail party with lots of singing and dancing around. Give your guests a destination wedding experience they will never forget. Just ensure you pack some woollen clothes and umbrellas for a sudden weather change. Choose the oasis of the Thar Desert as your destination wedding location in India this summer. 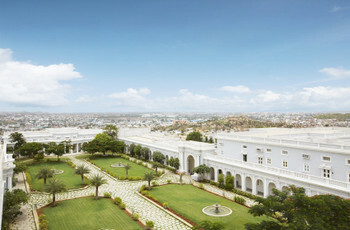 With the royal palace resorts atop the Aravalli Mountains with the most spectacular views around, your guests will have the best of both worlds in Mount Abu. Arrange for some local street music and dance performance on your sangeet night for an exotic touch. Don’t forget to add 'Dal Baati Churma' to your wedding menu for a superhit destination wedding this summer. Feeling a little adventurous about your destination wedding location? How about going a little off the road with a bunch of your thrill-loving family and friends? 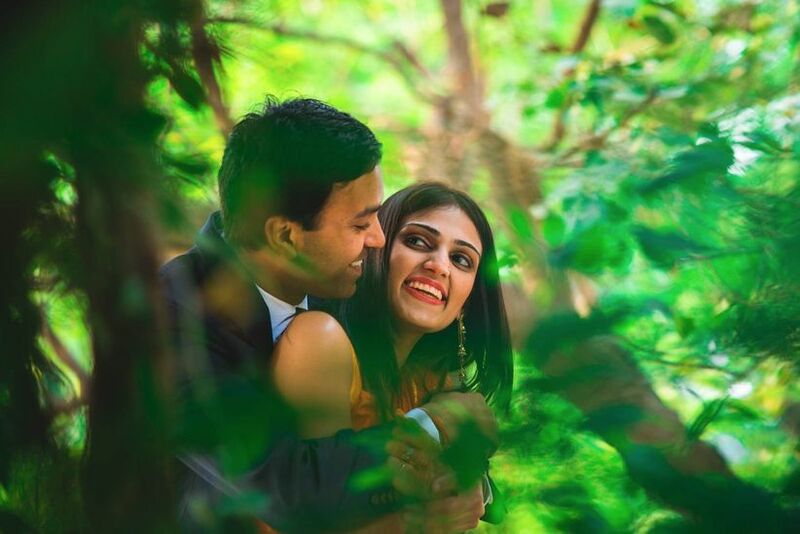 You can get some of the most magnificent pre-wedding shoot locations in India here. Yours will be a wedding that your guests will never get tired of talking about! 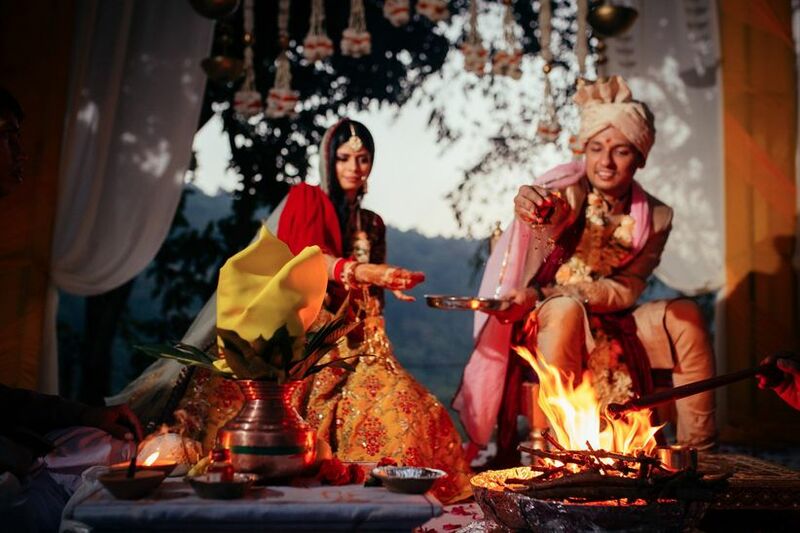 The best part about planning a destination wedding in Panchmarhi is its moderate climate all year round. Imagine the fun of playing musical games in the breezy evenings, by clicking quirky haldi pictures with your bridesmaids or groomsmen on a sunny morning without getting all sweaty. You can also plan an all-day trip to gorgeous waterfalls with your friends and have a playful photoshoot. Raise a toast to your special occasion with the best wines in the country. Spoil your guests with the finest wines and scrumptious food by hosting the wedding within the Nashik vineyards. Located amidst the lush green Satpura Mountains, you will find it one of the most extraordinary destination wedding locations in India. Plan wine-tasting tours for your guests and choose the most full-bodied wines for your cocktail party. It is the perfect location if you’re looking for a break from the cacophony of the city and want an intimate wedding amongst your loved ones. Tired of the bustling metropolitan noises and want a weekend wedding by the sea? Kashid offers an excellent opportunity for a destination wedding at untouched white beaches on the Konkan Belt in Maharashtra. Stay at a luxury beach resort overlooking the sea and feel the seaside aura overtake you. 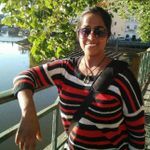 Book the caterers in advance to include some delicious Konkani food in your menu. Go on a massage and spa spree with your bridesmaids for that pre-wedding glow. Just wait to see your guests light up the moment they hear you say Goa! Beach Volleyball matches between the groom’s and the bride’s teams, sensuous pre-wedding photoshoots with golden sunsets in the background, dancing to your favourite songs while getting drenched in sudden downpours, hiring tattoo artists for your bridesmaids...the list of fun things goes on and on. 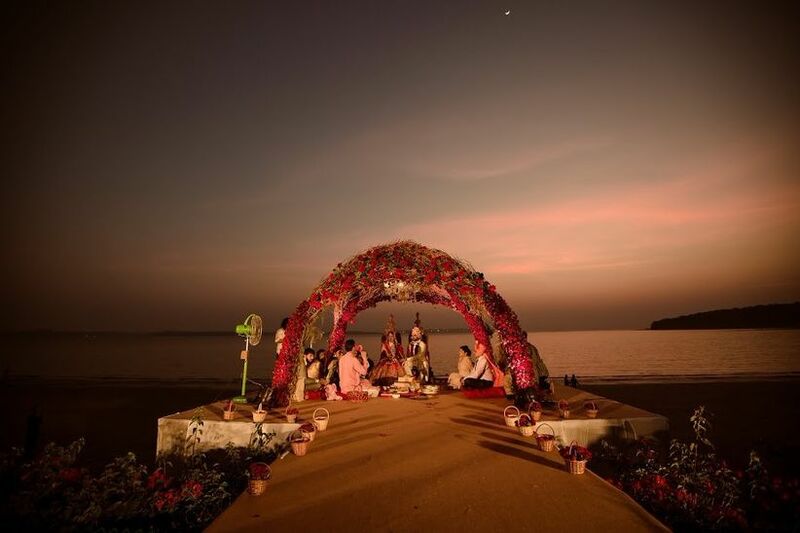 Top it off with finally tying the knot right in front of the gorgeous Arabian Sea. 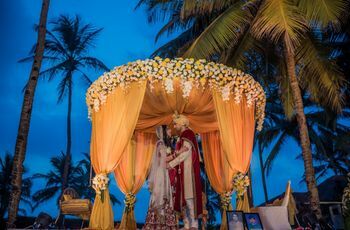 Make your destination wedding in Goa a tale of love, happiness and memories! 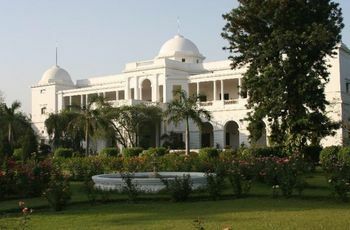 Every destination wedding location in India has something unique to offer. 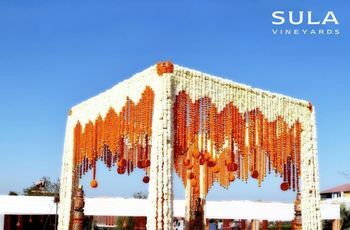 Make the choice of location that reflects your personalities as a couple, as you would have done for your wedding theme. After selecting the location comes the planning part, for which you need smart hacks and tips. Tell us how you made your selection from the list of destination wedding locations in India, in the comments below.